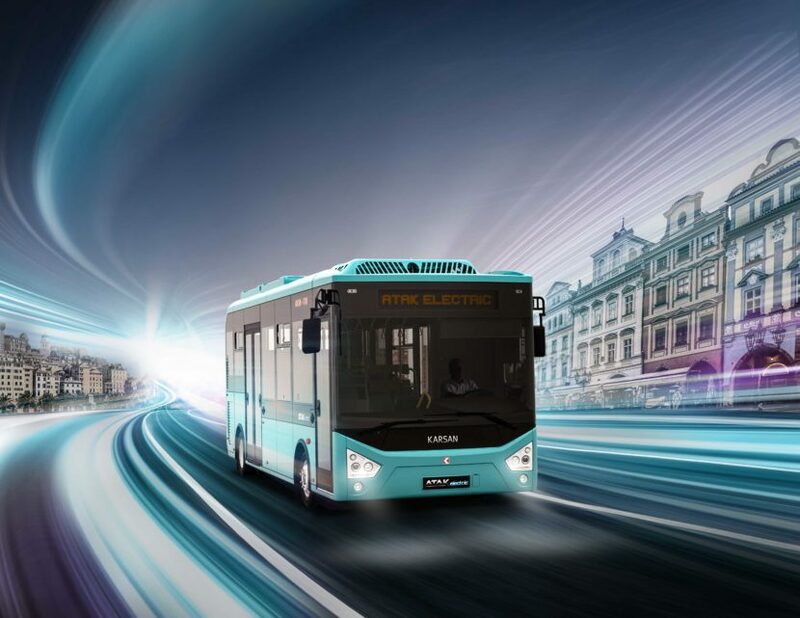 Earlier this week we told you about a new bus coming out of Turkey, powered by BMW i technology. The Karsan Jest Electric was unveiled for the first time this summer and has been shown to various potential customers at the beginning of this month. However, that’s a small, 26-passenger bus that has a rather limited range of 210 kilometers. The Turks have expended their collaboration with the German company by creating a new concept, the Karsan Atak Electric. This time round, we’re talking about an 8-meter long bus which has a range of up to 300 kilometers (186 miles) and also uses BMW i technology. 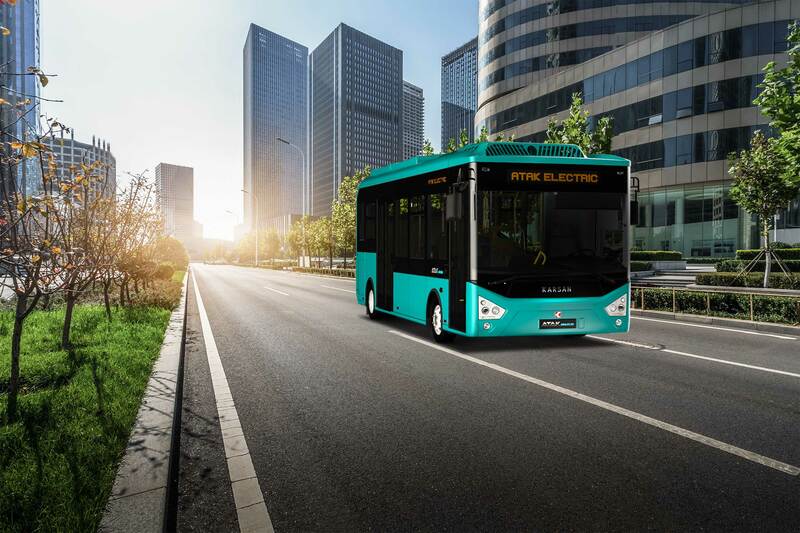 The bus was shown for the first time at the IAA Hannover Expo and comes with a low-loading floor, easy access ramp, ergonomically designed seats and USB ports alongside with a powerful air conditioning system. The battery system is made up of five 44 kWh battery packs which can reportedly be recharged in 2.5 hours. The total power output of the bus is claimed to be 230 kW or 308 HP and a torque of 2,400 Nm (1,770 lb-ft) which should be enough to keep the bus going for the claimed range. According to Karsan’s estimates, this sort of range should allow the buses to run daily without having to stop to be recharged, a process that can then be undertaken overnight. The mass production of this new bus will kick off in 2019 and the company officials are excited about the prospect. “Atak Electric is a prototype that Karsan Research & Development team has built in coordination with BMW, using their technological batteries used in their BMW passenger cars. In order to be industrialized, we presented the prototype for the first time in Hannover Expo. Apart from other brands developing electric vehicles, Karsan launched this prototype with a proven technological infrastructure and a fast shift into mass production,” said Okan Baş, CEO of Karsan.